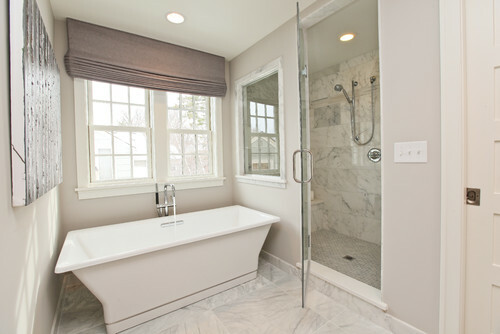 Bathroom Remodeling Trends: Part One - Lensis Builders, Inc.
With trends in remodeling changing so often, it can be difficult to make decisions when designing any space in your home. Bathrooms in particular are great spaces to express your personality, experiment with color, and overall, create a space that is comfortable. While trends can be viewed as transient, we think that the ones we’ve rounded up are both relevant and timeless. 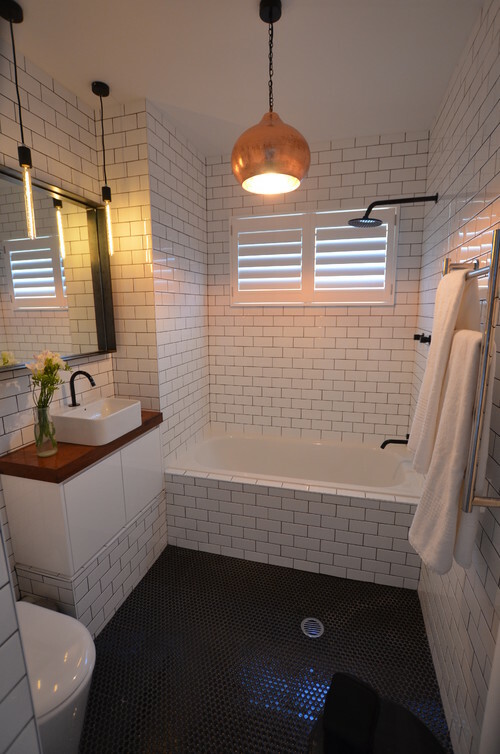 Subway tile is very trendy. Here, the tile’s crisp-white color complements the dark wood floors. The classic look of the tile creates a simple, contemporary appearance. A small powder room is the perfect place add drama and zest. 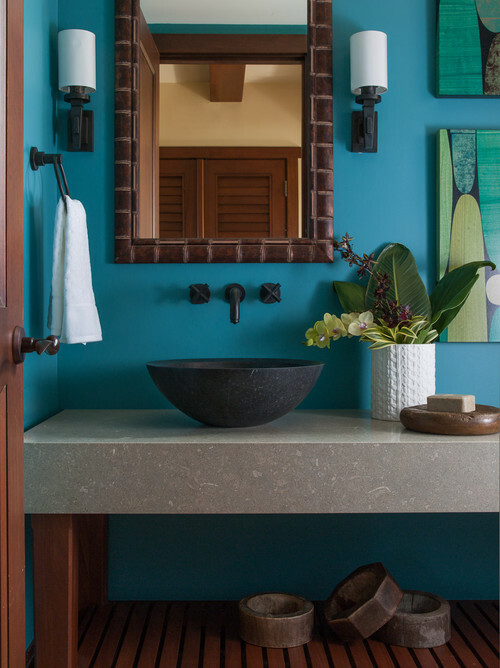 Here, the bold turquoise complements the organic wood and plants, as well as the iron sink. Homeowners can easily and affordably save water by installing low-flow aerators on new and existing faucets. Turn your bathroom into a spa getaway. A steam shower turns an already relaxing experience into a vacation, and it’s good for your health as well. 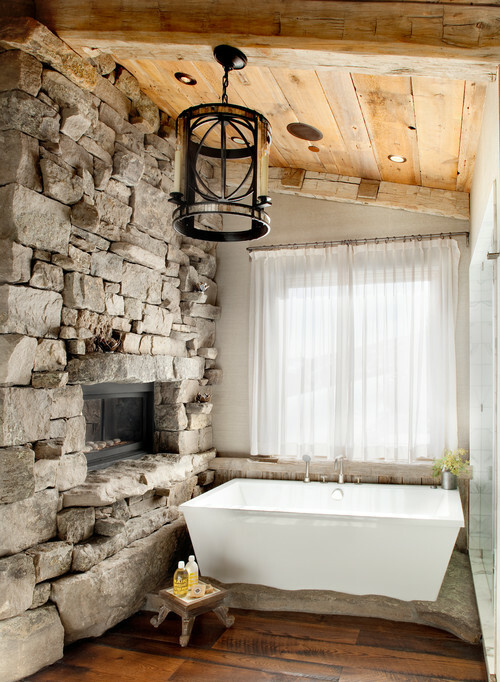 By adding a fireplace and/or other fire features, your bathroom is truly a calming environment. You can also get creative with design to achieve an overall look. Relax and soak to the sounds of a crackling fire right next to you.